Music isn't just something you "do" anymore-- it's your life. 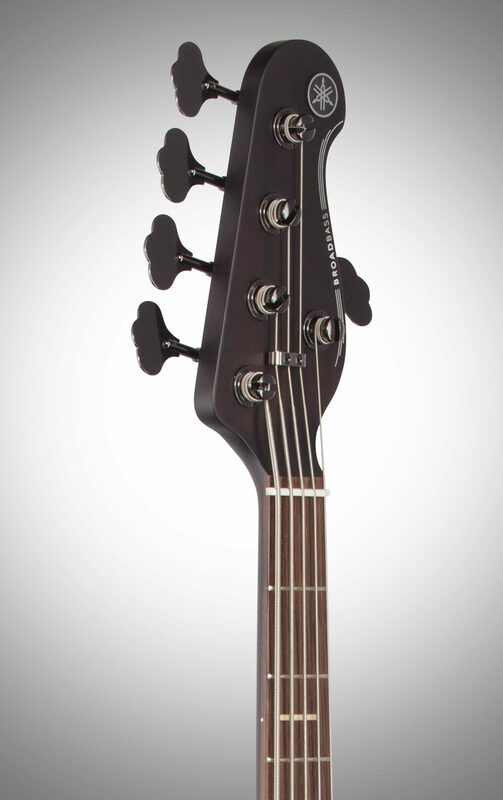 The Yamaha BB735A 5-String Bass will immediately make you want to get on stage or hit the record button. Combining the crisp, penetrating tone, and serious flexibility of active pickups with the punch and sustain of a 6-bolt miter neck joint, the 700 models can be relied on to deliver an extraordinarily versatile sound that you can adapt to any genre or environment. 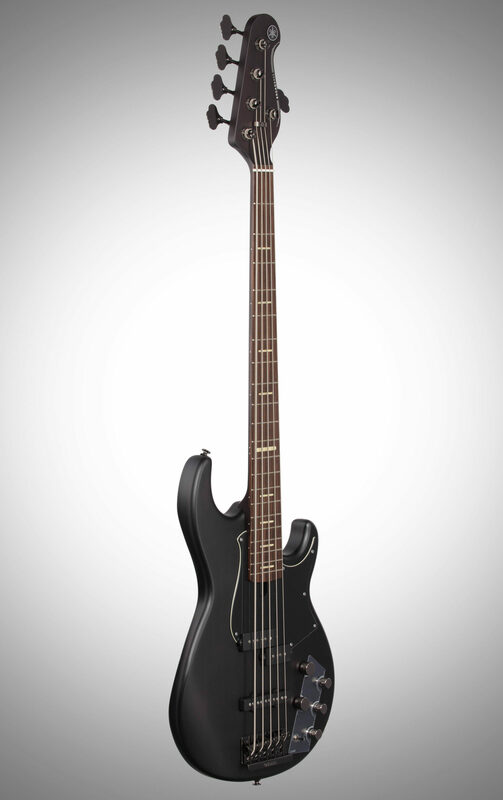 The BB features an Alder/Maple/Alder multi-laminated body construction. The hard maple center increases body stiffness and accentuates midrange to cut through the mix of a band, and allows a more uniform transmission of vibrations between the body and the maple neck for unparalleled resonance and sustain. Compared to a conventional bolt-on joint, miter bolting offers more efficient transfer of string vibration throughout the body, for improved sustain and outstanding resonance that brings every note to life. 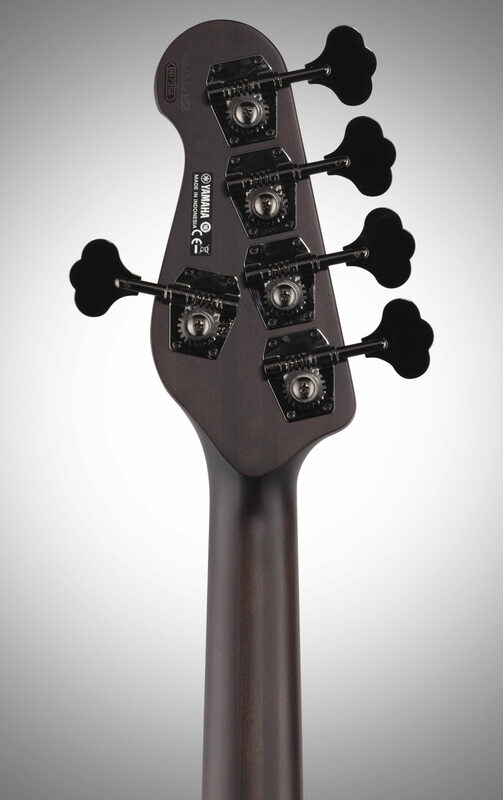 The BB700 models feature a specially tuned active/passive circuit for fine tonal control and extreme flexibility. This updated circuit has been retuned for the BB for a crisper tone and improved mids via a level-matched output whether in passive or active mode and tone-switching circuitry that seamlessly moves from treble control to master passive tone. High-quality gold plated parts are used for key signal chain contacts, providing increased conductivity and reliability and a battery alert LED installed on the back panel gives instant indication of low power to eliminate sudden power loss during performance. Lighter weight tuners offer a better balance and complement the overall feel, providing a perfect match for the smaller, lighter body of the BB. The 700 and Pro are equipped with the Vintage Plus Bridge, which incorporates "Diagonal Body Thru Stringing," where strings are angled at the saddle and pass through the instrument to the bridge at a 45 degree angle, as opposed to the traditional vertical stringing method which places more stress on the strings. Diagonal Body Thru Stringing significantly reduces this stress while transferring string vibration to the body reliably and efficiently. Strings can also be set to the tail end of the bridge, which comes equipped with a convertible saddle that can be adjusted to 2 different angles for more precise tonal shaping and feel. The rounder side of the saddle gives a slightly softer sound, while the more angled area produces a slightly tighter one. The brass saddle of the Vintage Plus Bridge delivers a slightly deeper low-end, and the steel bridge plate offers a brighter tone. All screws and springs are made of stainless steel to guard against corrosion. The BB series features a 5-ply maple and mahogany laminated neck, in a bolt-on design that delivers a sharp attack, and quick response. This durable construction resists warping and twisting and adds the tight, penetrating character of maple combined with the warmth of mahogany to the instrument's tone. Current BB models feature a slightly thinner neck than previous BB basses, improving playability and feel for both modern and traditional players. 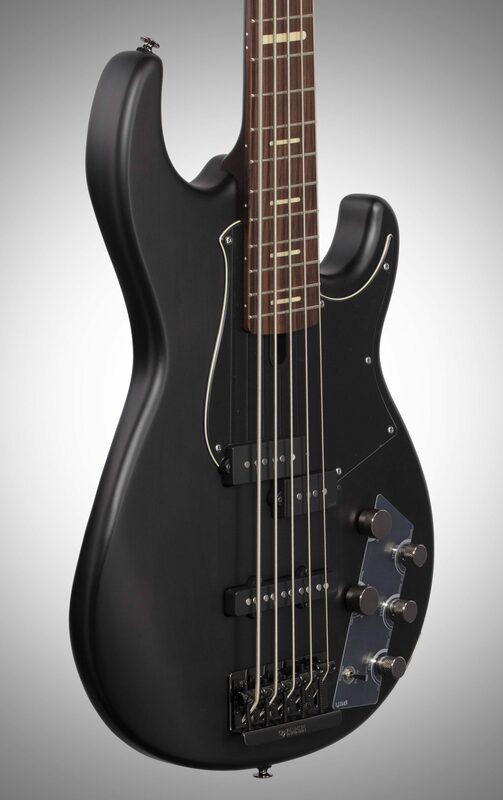 Value: This bass is priced affordable from the manufacture. Add, Zzounds and other online companies savings. This is a great buy. Manufacturer Support: I gave it one star. Because, I don't know how they would be. Would not be right to give them a higher rating. Then receive sub par service. Overall: First time enjoying a Yamaha bass. This bass is well built, and solid. 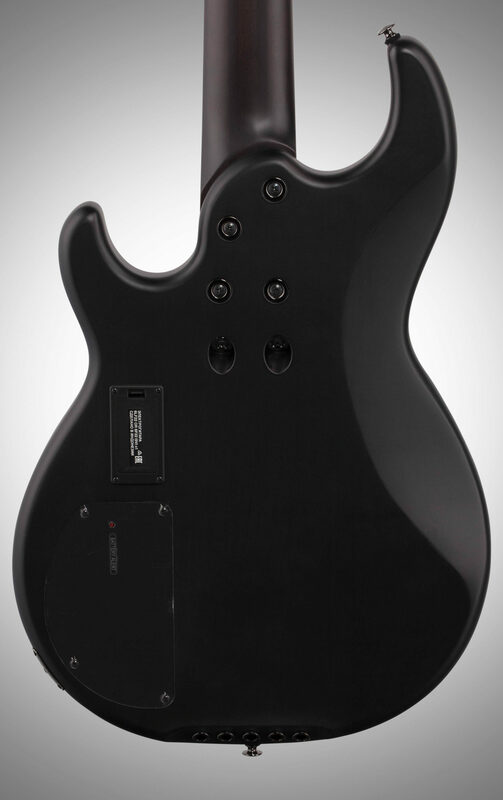 The neck and fretboard is amazing. No rough edges, very smooth. Effortless for left hand movement. I like the string spacing. Set up was good out of the box. Basically, just tune and play. Incredible sound and tone. I am very surprise. Playing it in the store is one, but playing through your own rig. Is totally different. Very impressed. 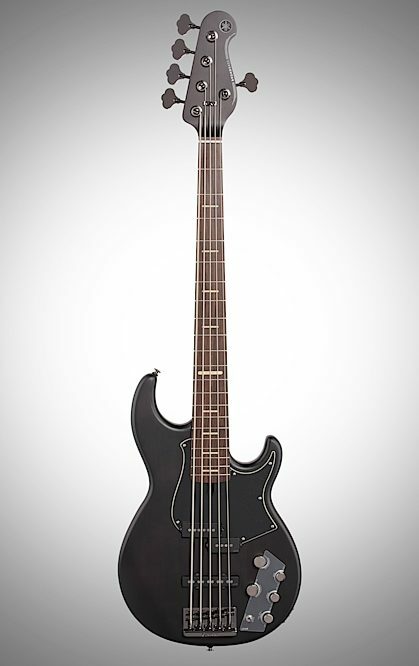 "This bass is great for the price"
Overall: This was my first "big" purchase and i was skeptical but i hung in there. When i opened the box i was surprised with the case that came with the bass first of all. It feels very protective and I like how it is soft on the inside. 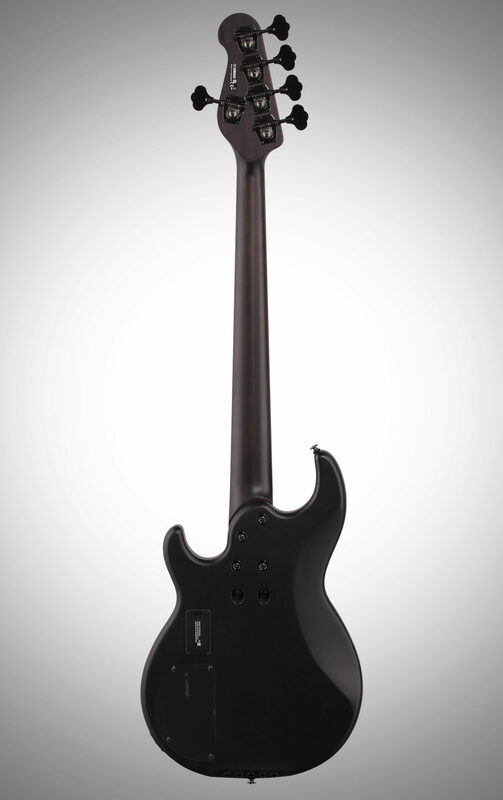 As far as playing, you are getting what you pay for with this bass. I would go as far to say that it probably could have been more expensive because it is well made and the sound it produces is amazing. You get a lot of nice low end out of this guitar with crispy mids and bright highs. I love the sound but i recently switched the original strings with flat wound D'addario strings since i play more blues and r&b. The only problem i had was the preamp in the bass was messed up so i couldn't switch between active and passive. Other than that this bass is incredible. Pair it with the 500 fender rumble 2x10 and a 500 watt 15'in bass cab and you could fill an auditorium with nice sound.